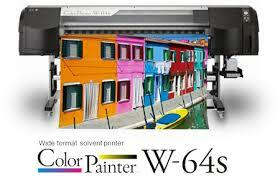 Buy the ColorPainter Wide Format Printer in Tinley Park, IL. While other prints lose density as they go faster due to small drop sizes and low viscosity inks, the new ColorPainter W-64s uses high viscosity inks and an ultra modern piezo-inkjet head to deliver outstanding image quality and no color density loss. OKI’s improved dot pattern enables razor sharp, crisp images at all print modes. 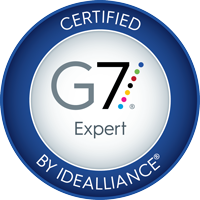 Choose between high-production modes with unmatched print speeds, or high-resolution print modes with less grain.